Orlos Weight Loss capsules help to reduce weight when used alongside reduced calorie, lower-fat meals in overweight (BMI 28 or above) adults. 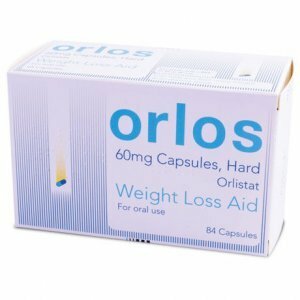 Orlos is used for weight loss alongside reduced calorie, lower-fat meals in overweight (BMI 28 or above) adults, aged 18 or over. 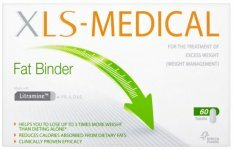 Orlos is clinically proven to help you lose more weight than dieting alone. 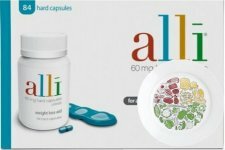 The capsules work only in your digestive system to stop about a quarter of the fat in your meals being absorbed. This fat passes out of your body and may cause changes to your bowel movements. Eat lower-fat meals to help manage these effects. 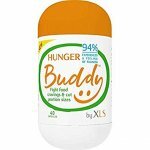 Take one capsule whole with water, three times a day with each main meal containing fat. 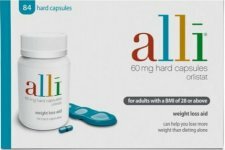 Do not take more than three capsules a day. You should take a multivitamin (containing vitamins A, D, E and K) once a day, at bedtime. You should not take Orlos for more than six months. 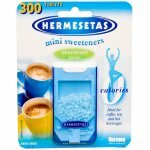 Also contains: Capsule filling: Microcrystalline Cellulose (E460), Sodium Starch Glycolate (Type A), Silica Colloidal Anhydrous, Sodium Laurilsulfate, Capsule Shell: Gelatin, Titanium Dioxide (E171), Indigo Carmine (E132).